The internet would not exist without dogs. Don’t believe us? Well, just think about it for a second. What do most people use the internet for? Looking at dog memes, of course. According to our very rough calculations, the average internet user spends about three-quarters of their time looking at photos of dogs, so most of the time spent on the internet is used up on doggos. In fact, you have another tab open right now and you’re looking at adorable pics of dogs right now… aren’t you? This cozy Dalmatian jumpsuit is so cute, we can’t even. The women’s costume comes with a comfy white and black speckled jumpsuit that has a zipper in front for fitting. It also has a drawstring around the waist, which also helps you control the fit. The hood has a pair of adorable doggie ears on them, making you look like the perfect pup when you wear it. Of course, there’s also a soft sculpted tail in back, since every good dog needs a tail to wag. Finish the whole look off with the included collar, which fits around your neck like a choker! 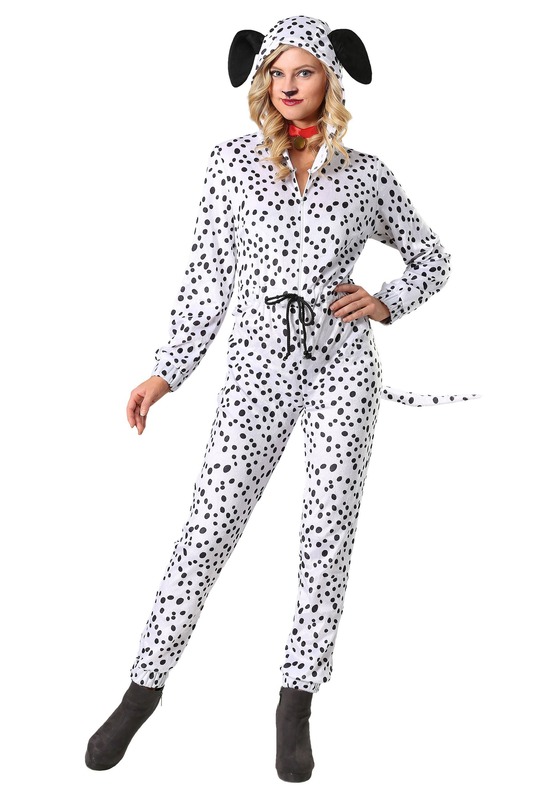 You can be one good doggie when you wear this cozy Dalmatian jumpsuit for women! It’s a cute look that any dog lover, or meme lover, will want to wear. Who knows? 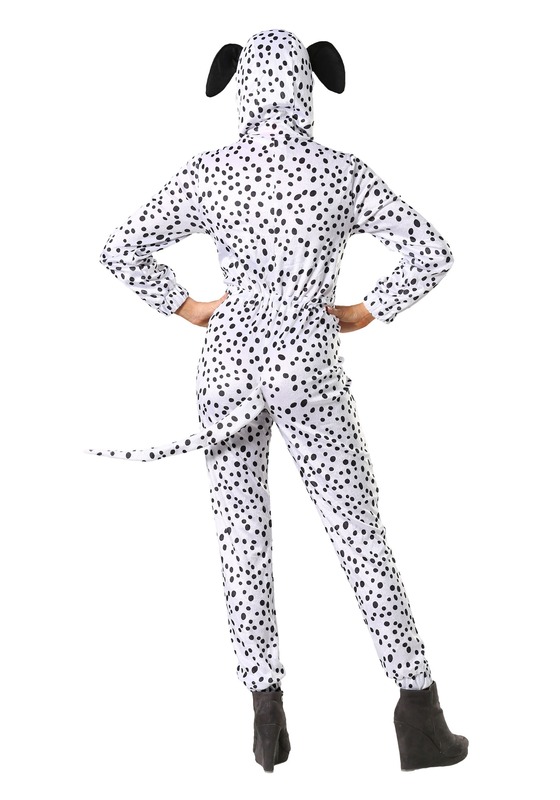 Maybe you can even create a new meme in your brand new dog costume!